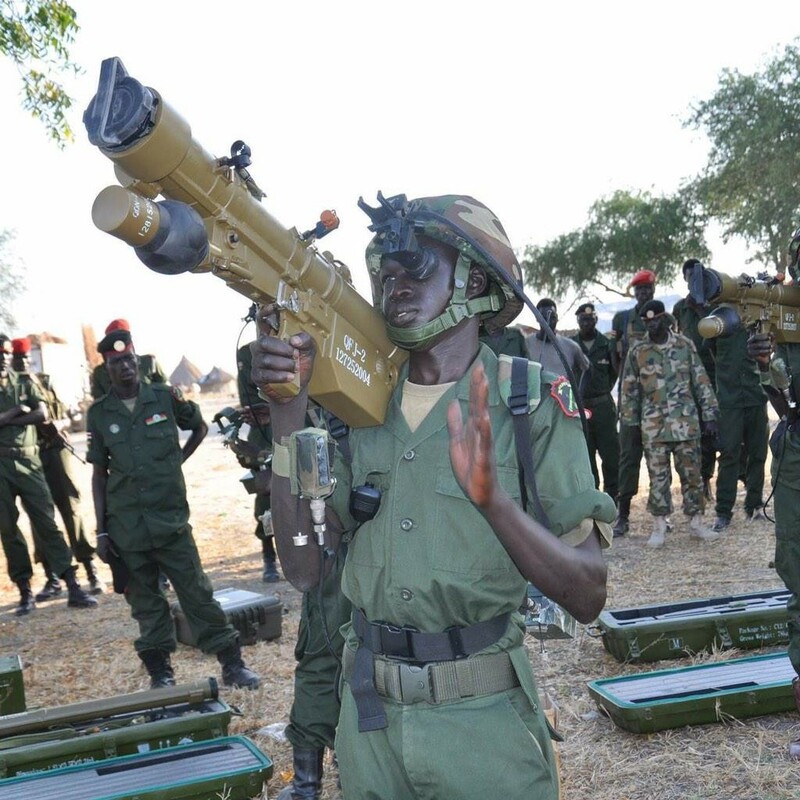 Photos out of South Sudan during the last days of 2014 show Sudanese People’s Liberation Army (SPLA) forces with a Chinese-made QW-2 man-portable air-defense system (MANPADS). Incorrectly identified by some sources as a QW-18, the QW-2 above is identifiable from its battery pack and markings on the weapon gripstock reading “QFJ-2”. Produced by the China Aerospace Science & Industry Corporation (CASIC), the QW-2 can target aircraft at a height of up to 4000 metres. Full technical characteristics are available below in an image from the China National Precision Machinery Import & Export Corporation, the official Chinese exporter of the system. 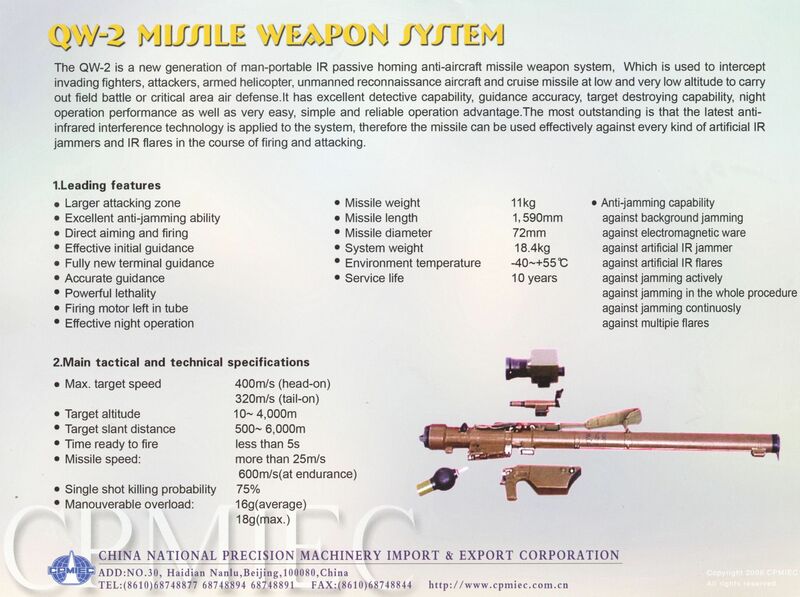 ARES has documented MANPADS in South Sudan previously, captured by the Ugandan People’s Defence Force (UPDF), and China has previously supplied arms to South Sudan government forces.